Who can still remember. 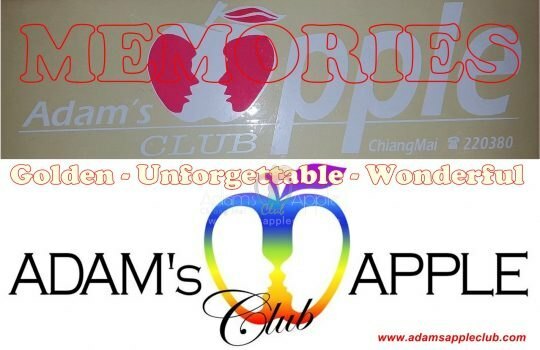 One of the first LOGOS of Adams Apple Gay Club Chiang Mai. Many years ago, and still we are there. 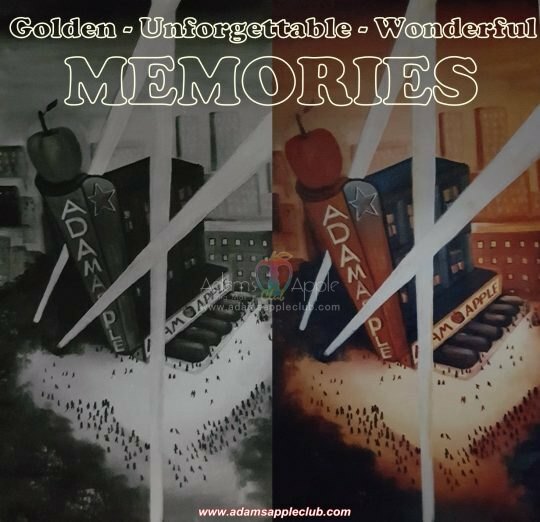 Many years ago, and still we are there Adams Apple Gay Club Chiang Mai – without KARAOKE. Who can still remember. HAPPY NEW YEAR 2010 Adams Apple Gay Club Chiang Mai. Who can still remember. 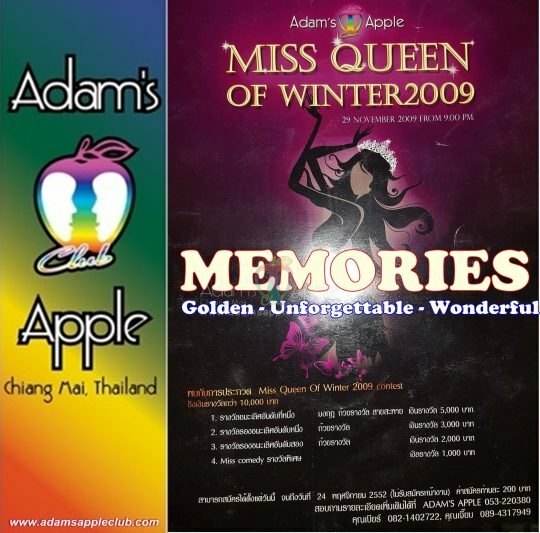 MISS QUEEN OF WINTER 2009 Adams Apple Gay Club Chiang Mai. Who can still remember. 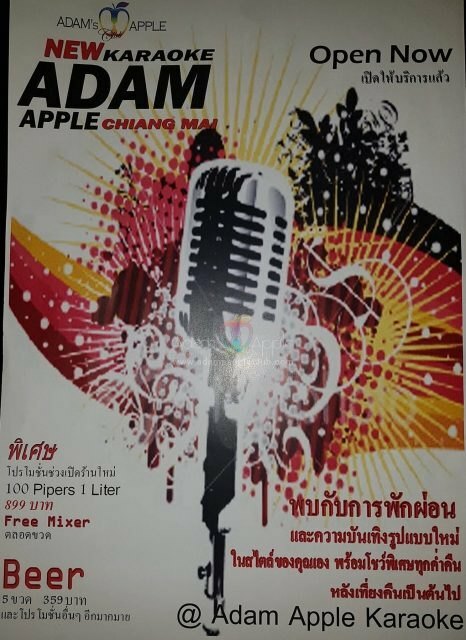 One of the first pictures of Adams Apple Gay Club Chiang Mai.